In a special ceremony today, the Smithsonian’s National Museum of American History will receive a donation of objects from the Tony and Grammy Award-winning Broadway musical Dear Evan Hansen. The musical tells the story of Evan Hansen, played by Taylor Trensch, a high school senior with social anxiety. Both deeply personal and profoundly contemporary, Dear Evan Hansen is a new American musical about life and the way people live it. The donation will be presented on-stage following the production’s curtain call to help celebrate the show’s two-year anniversary on Broadway. The museum will receive Evan Hansen’s signature blue-striped polo and the iconic arm cast with the ‘Connor” signature. Also included in the donation is a button from The Connor Project—a fictional organization dedicated to the memory of Connor Murphy, one of the principals in the show, a printed copy of the titular Dear Evan Hansen letter and an original piece of sheet music for “Waving Through a Window,” signed by Oscar, Grammy and Tony Award-winning composers Benj Pasek and Justin Paul and Tony- and Grammy-winning orchestrator Alex Lacamoire. Dear Evan Hansen opened on Broadway at the Music Box Theatre Dec. 4, 2016, after its world premiere at the Arena Stage in Washington, D.C., in July 2015. The musical has broken all box office records and has resonated with critics and audiences alike. Dear Evan Hansen is a winner of six 2017 Tony Awards and a 2018 Grammy Award. Two books are based on the musical: a coffee table book Through the Window that offers an official, behind-the-scenes look at never-before-seen photos, anecdotes and an annotated script with notes from the composers/authors. The other is a fictional young adult novel written by the authors/composers and Val Emmerich and based on the story of the musical. The Grammy Award-winning original Broadway cast recording of Dear Evan Hansen, produced by Atlantic Records, was released in February 2017, making an extraordinary debut on the Billboard 200 and entering the chart at No. 8—the highest charting debut position for an original cast album since 1961. 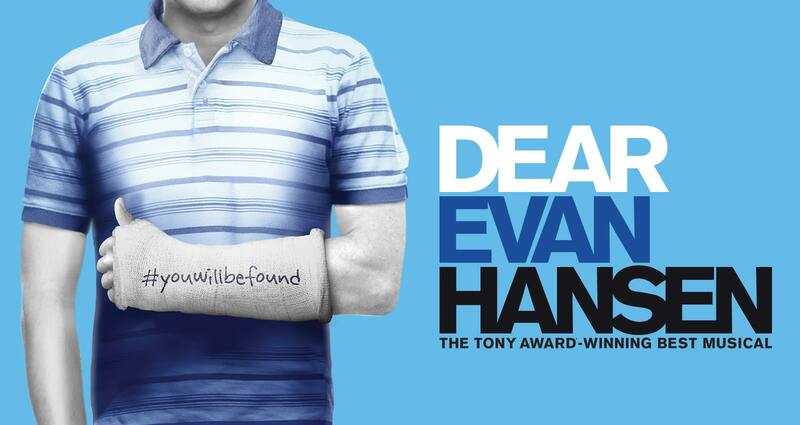 These Dear Evan Hansen objects join a rich collection of museum artifacts with Broadway origins, including costumes from the Broadway productions of Hamilton, Hello, Dolly!, A Chorus Line, Cats, Fiddler on the Roof, This Is the Army, Kiss of the Spider Woman, Mame and Lorelei; theater awards, including three Tony Awards; props from the off-Broadway musical The Fantasticks; Rose Marie’s copy of the musical score of Top Banana; and numerous Broadway playbills and posters. The museum’s Archives Center also has a number of other theatrical scripts, video and audiotapes in its Luther Davis Collection. Through incomparable collections, rigorous research and dynamic public outreach, the National Museum of American History explores the infinite richness and complexity of American history. It helps people understand the past in order to make sense of the present and shape a more humane future. The museum is located on Constitution Avenue N.W., between 12th and 14th streets, and is open daily from 10 a.m. to 5:30 p.m. (closed Dec. 25). Admission is free. For more information, visit http://americanhistory.si.edu. For Smithsonian information, the public may call (202) 633-1000.